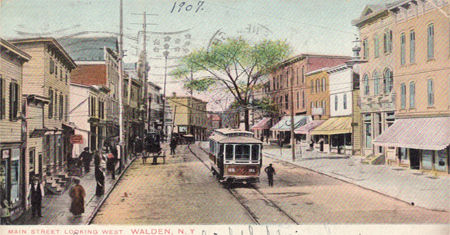 Carolyn & John Mitchell have donated Walden Post Cards belonging to Mrs. Shirley Mitchell. 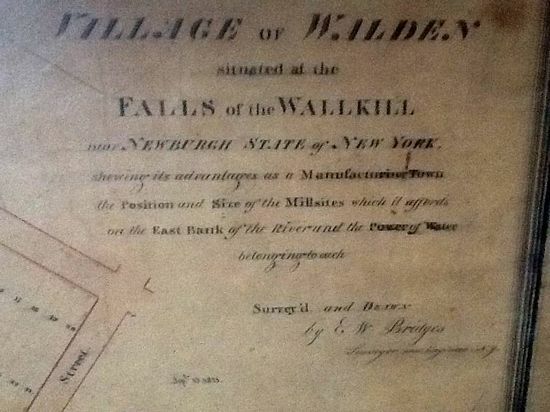 Wonderful additions to our local history. Thank You! "Thank you" to members George & Barbara Heitz for donating a collection of the early Farmers Association Annuals of most issues between 1894 and 1924 and multiple copies of some. 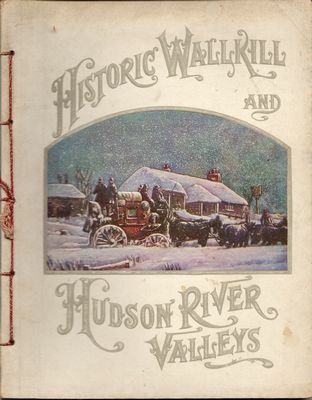 Also referred to as "Historical Souvenir Booklets of the Wallkill and Hudson River Valleys, they represent a rich resource of early photos, biographies, and local history. 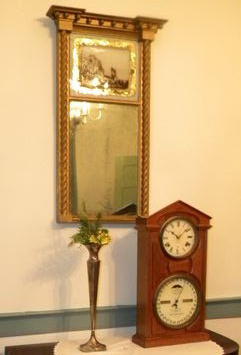 Donations of items such as these make it possible to plan on a public research area in the future. Thank You! ...and a Fire Parade Souvenir Program Booklet from 1904. Choose the link to view the larger PDF image. 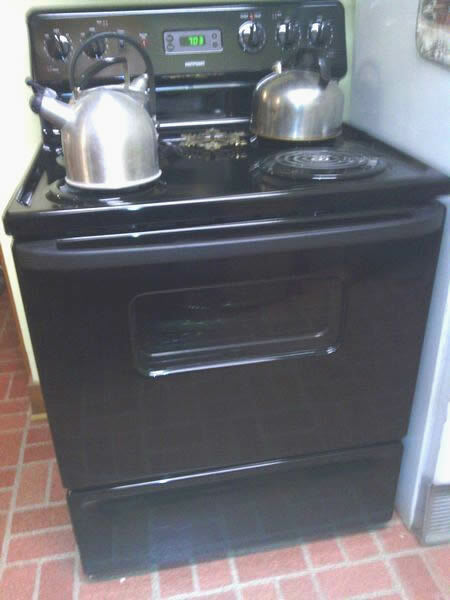 Our sincere 'Thank You' to the Sohn's Appliance Center, Walden, New York for generously donating a new gas stove to the Society! Makes our Christmas and Spring Teas so much nicer! Mrs. Joyce Concors pictured with our Society President, Barbara Imbasciani. 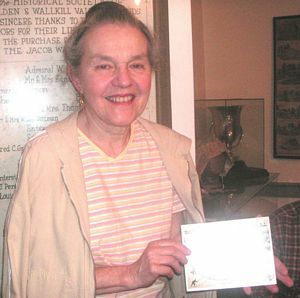 At our Wed, Oct. 16th Meeting Mrs. Joyce Concors of Walden very generously presented the Historical Society with a check donation of over $450 raised for the Society during the recent Grand Reopening of the Thruway Hardware Store! 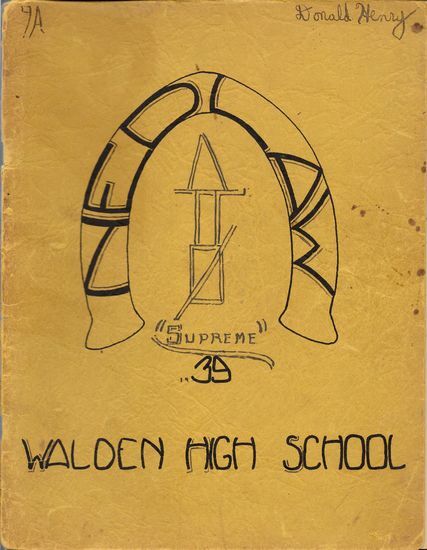 Our Thank you to former Waldenites, Donald J. Bennett and wife Dee of Rochester, NY, and Richard Bennett and wife Lorraine of Gardiner, NY, for donating these beautiful Walden High School Sports Letters--ALL earned by their father Harold "Ben" Bennett. Ben earned his first sports letter in football in 1930, but after being forced to drop out of football because of a sports injury, he went on to earn more in Baseball, Soccer, Tennis, Track & Field in 1932-33, graduating in 1933. Don says he believes the number was unprecedented at Walden High School. 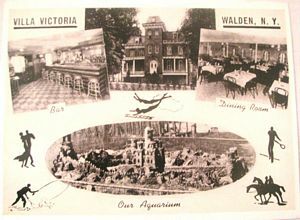 for donating this lovely post card of the Villa Victoria (Delmonico's) in Walden. Post Card of Villa Victoria came from the memorabilia I received from my sister, Christine Doolittle Keigmich, upon her death. She kept [several of the same card] them in her possession for many years. She never shared with me why she kept them, but I know she was familiar with the villa and the Delmonico family.